BERLIN (Reuters) – Germany’s credibility with its NATO partners is at stake unless lawmakers commit to increase military spending, German conservative leader Annegret Kramp-Karrenbauer said on Friday, as divisions widen within Chancellor Angela Merkel’s coalition. Merkel’s cabinet approved a budget plan on Wednesday that would boost defense spending to 45.1 billion euros, or 1.37 percent of gross domestic product, in 2020, but allow that percentage to drop in subsequent years. The plan, which must be finalised by parliament, drew sharp criticism this week from U.S. Ambassador Richard Grenell, who questioned Germany’s commitment to meeting the target for NATO members to spend 2 percent of GDP on the military. The defense spending row has added to tensions within a coalition government already at odds over tax rates, social spending and an embargo on arms exports to Saudi Arabia. Kramp-Karrenbauer told Der Spiegel magazine that Germany needed to live up to its commitments and called on lawmakers to “correct” the four-year budget plan prepared by Finance Minister Olaf Scholz, a Social Democrat. Merkel said on Thursday that Germany will meet an undertaking to NATO allies to spend 1.5 percent of economic output on defense by 2024. A separate push by Scholz’s Social Democrats, junior partners in Merkel’s coalition, to extend an embargo on arms shipments to Saudi Arabia by six months has meanwhile strained ties with Britain. The embargo is holding up London’s efforts to finalize a 10 billion pound sale of Eurofighter combat jets to Riyadh. German components account for about a third of the jet’s content. France has also warned it will not proceed with several large Franco-German weapons development programs unless Germany agrees to a binding accord that would allow the countries to block each other’s future exports only when “direct interests or national security are compromised”. 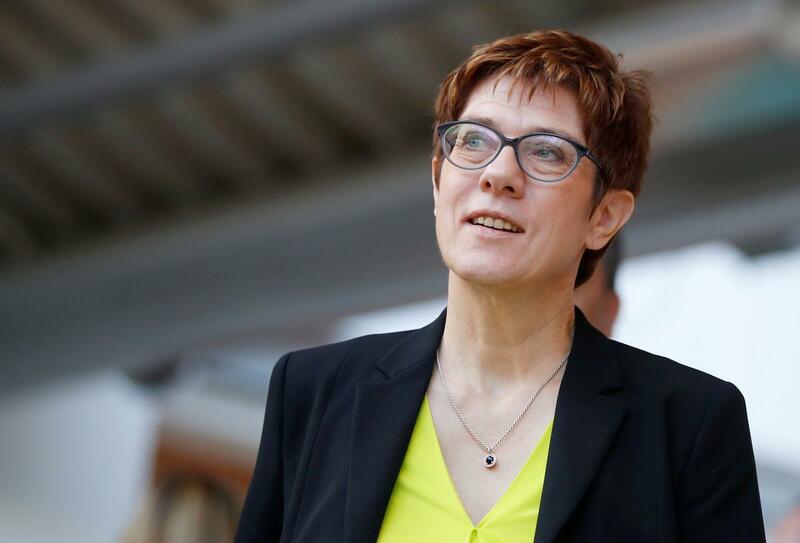 “If you want a European security and defense policy, then you have to agree on European rules — and they will not be as strict as the German ones,” Kramp-Karrenbauer told Der Spiegel. Matthias Wachter, defense expert at the BDI Federation of German Industry, said extending the Saudi arms embargo created uncertainty for German companies, who face a growing risk of contractual penalties for not shipping arms ordered by Riyadh. “Companies have to evaluate legal options, since they might be liable to their shareholders by law,” he said on Twitter.